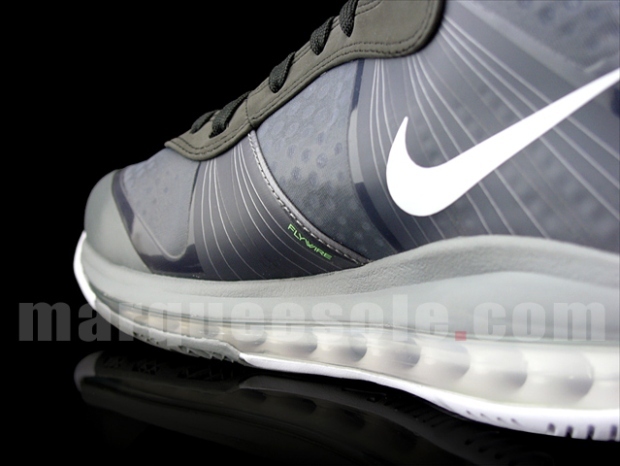 Subtle hits of neon green add life to this predominantly black and grey shoe. 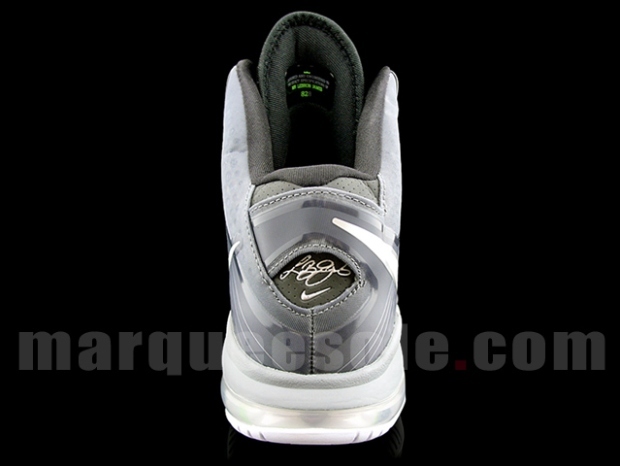 Since the Dunkman Zoom LeBron II exclusive started making rounds more than 5 years ago, neon green accented colorways have been a staple in Lebron's signature line. 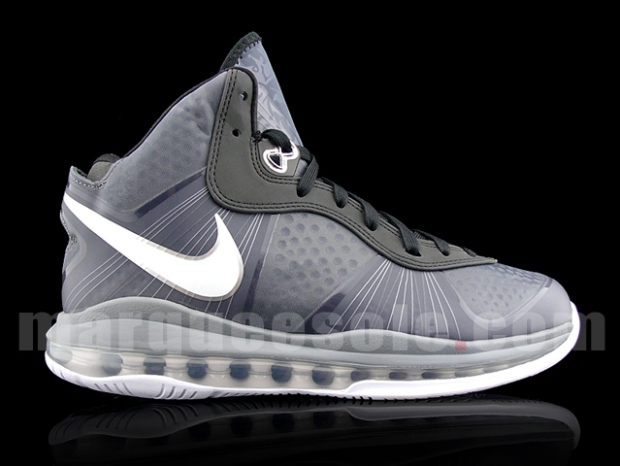 Most recently, we saw the vibrant green hue on a LeBron 8 that we assume is a DJ Clark Kent friends and family '112' exclusive. 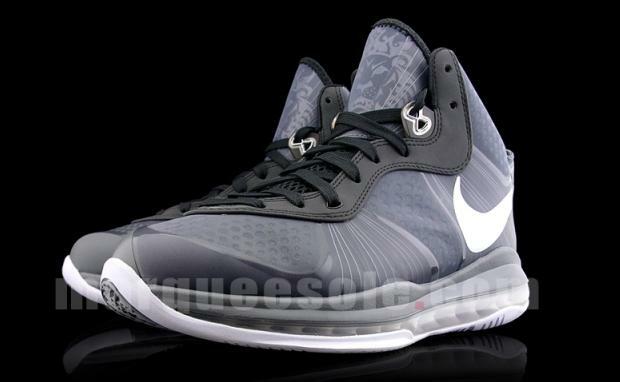 As expected, that won't be the last time we see neon green on the LeBron 8, as the color makes a subtle appearance on the latest V/2 leak. 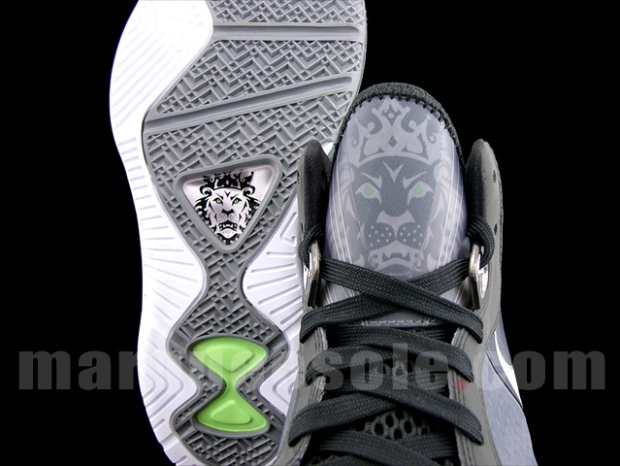 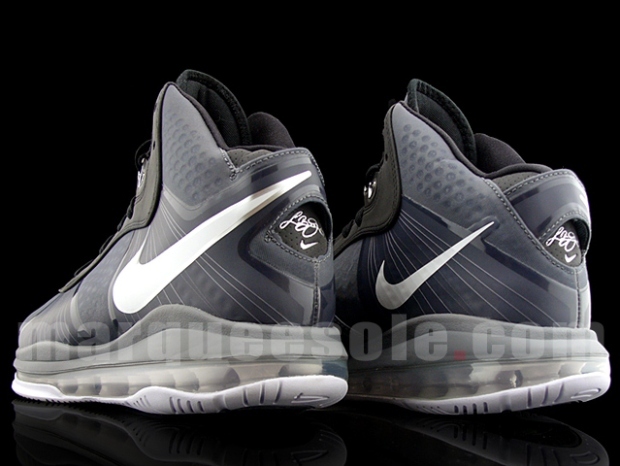 Shades of black and grey work the upper on this shoe, which also features the sheer overlay used for the V/2 releases. 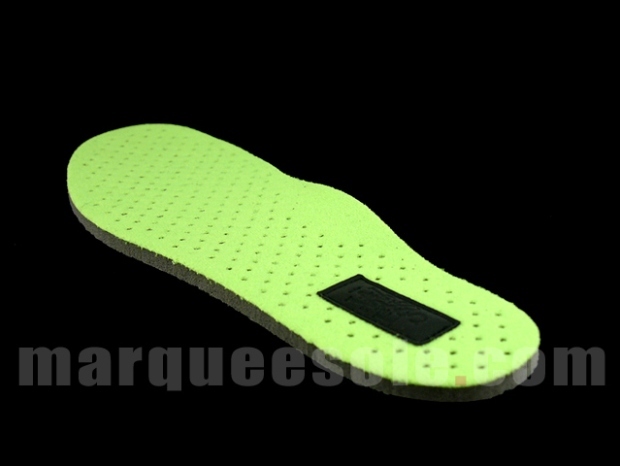 Minimal hits of neon green appear on the insole, lace tips, Flywire branding and the outsole. 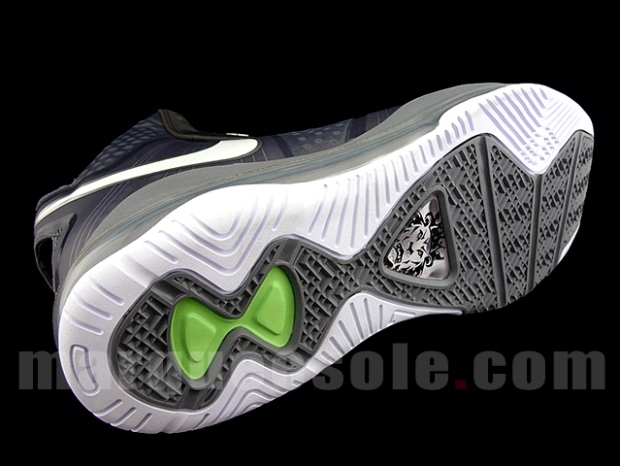 Also offering a little contrast to the dark upper is a white Swoosh and rubber outsole. 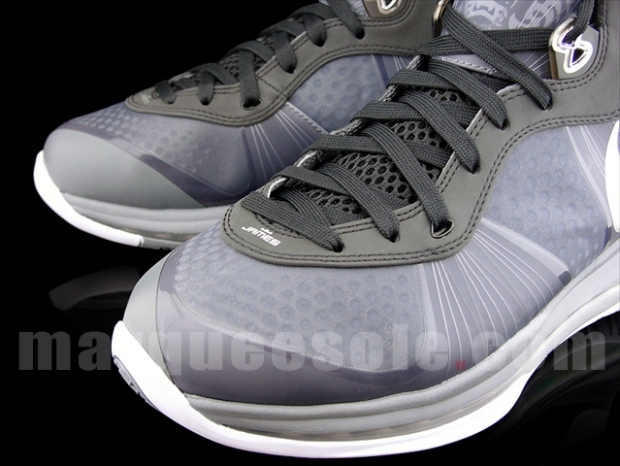 Based on our first look, where does this colorway of the V/2 rank for you?